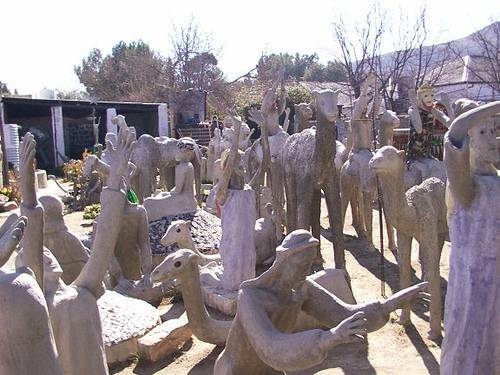 Deciding that her life was “dull,” Helen Martins went a little crazy in 1945 and began filling her garden with sculptures of owls, camels and people. She said she drew her inspiration from Blake, the Bible and Omar Khayyam, but she also pointed most of the figures eastward to reflect an obsession with the Orient. And she decorated the house’s interior walls with crushed glass. Martins was derided during her lifetime, but the house has been preserved and is now a national monument in South Africa.